The Rebel Sweetheart. 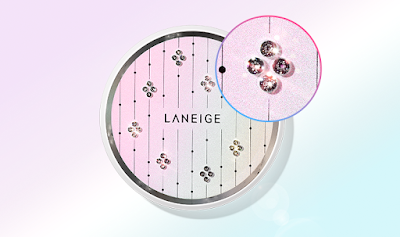 : Sneak Peek | Laneige x Swarovski BB Cushion Crystal Edition! 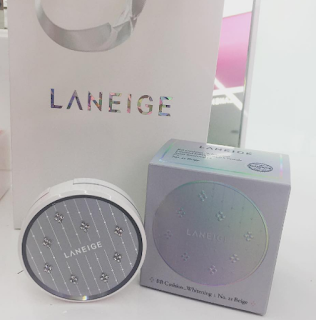 Sneak Peek | Laneige x Swarovski BB Cushion Crystal Edition! When it comes to pretty packaging, Korean cosmetics brand Laneige is always a front runner. I don't think there ever was a time when I did not swoon over their seasonal collections. Case in point, this collaboration collection with PLAYNOMORE, and this collaboration collection with Lucky Chouette, and last but not the least, the Milkyway Fantasy collection - by far, my most favorite. Now for this summer, Laneige teams up with Swarovksi, the world's most popular producer of crystals, to bring us the Laneige x Swarovski BB Cushion Crystal Edition. It's a limited edition release, and perhaps the most precious BB Cushion just yet. 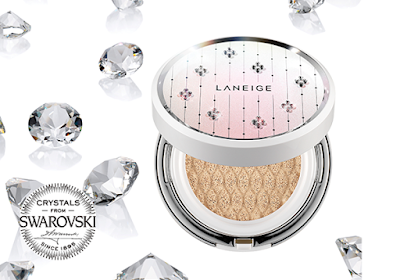 Laneige x Swarovski BB Cushion Crystal Edition. The BB Cushion is housed in a lovely, iridescent pact with genuine Swarovski crystals embedded on the cover. Specially created by Swarovski for Laneige, the crystal is called Sirius, named after the brightest star in the Milky Way. It's also the crystal that most closely resembles a diamond. And because it's an authentic Swarovski product, you will find the official Swarovski seal on the BB Cushion's box flap. Swarovski seal on the box flap. 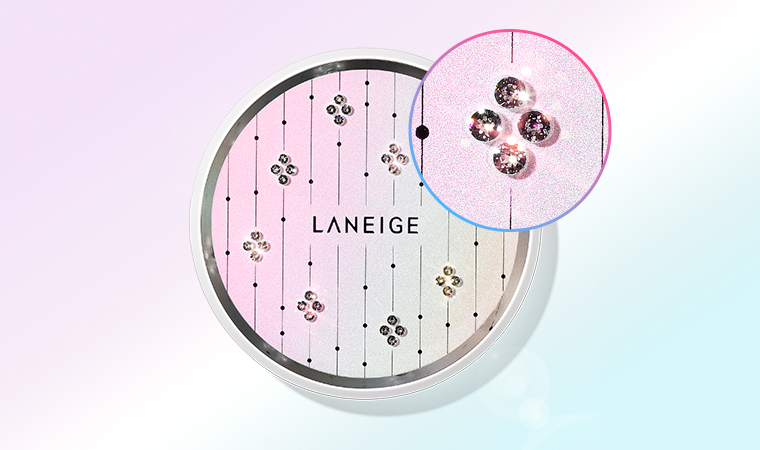 The Laneige x Swarovski BB Cushion Crystal Edition is available in two variants - Whitening and Pore Control, and comes in two shades - #13 Ivory and #21 Beige. It's now available in Laneige stores across South Korea and retails for 37000 won each (around Php 1600 or $33). Talk about luxurious! This one looks so beautiful and it is just a must have if you're a fan of beauty products/make-up! Beautiful name too! this is interning, I am not a huge makeup person but really admire people who love it and can rock it.I like looking at it so nice just not my thing. I didn't realize Swarovski was cross-marketing in the cosmetics industry. Interesting pair-up! hi,so pretty packaging... does this comes with refill pack?